Wu Fei’s Taichangsi Standard explanation of the Shenyi. The Shenyi is purportedly designed by Huang Di, or the Yellow Emperor, to enrobe the heavens and the earth onto the human body, while providing an ergonomic design for the wearer. 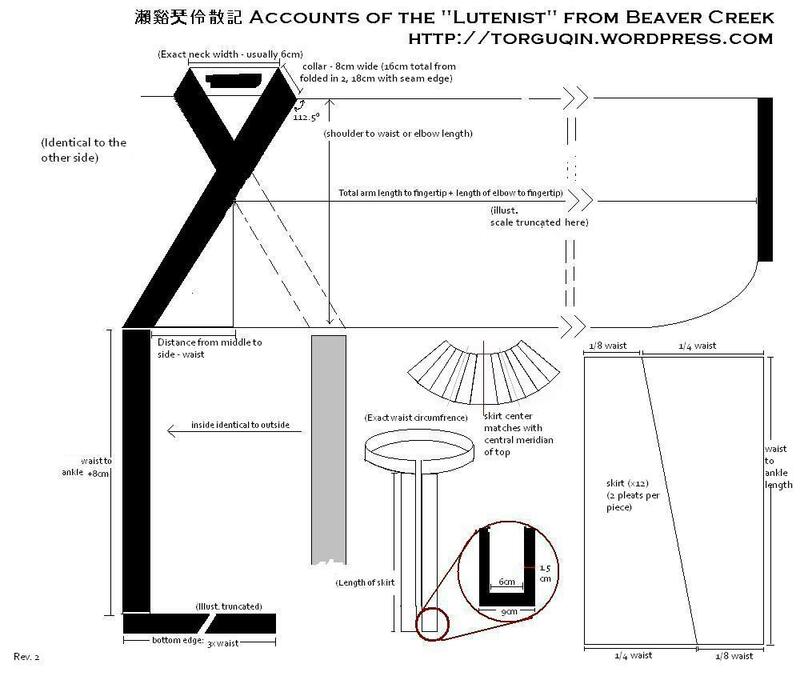 As the belief of “Round Heaven, Square Earth” goes, the Shenyi would simply not do without the shape of the square ruler (gui, 規) and the compass (ju, 矩), as well the measuring tape (sheng, 繩, lit. “rope”) that measures the stretch of cosmos through the central meridian (on the human back, as well). The collar is not a curved piece of fabric, but a long straight piece of material that is attached outside of the edges of the main material. The same goes for all hems and cuffs. In the end, it is all the simpler to tailor. It also means that a stiffer material is preferred, as it is required to “stand up” on the neck. It is better to open less than more for collar opening. Do not over-cut the main material on the front and open it too wide. The neck will do that for you. 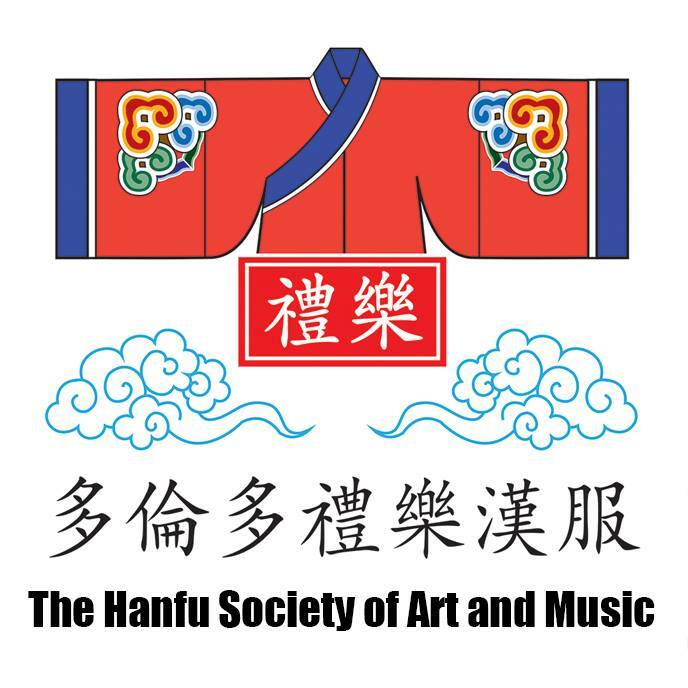 Hanfu works in the idea of wrapping your body, not fitting the body like in Western couture. Usually, 6cm (3cm on each side) will do. The body and sleeve are essentially one large piece of fabric, and should allow the arm to move freely inside. Technically, one should be able to completely put down the upper arm when the sleeve is extended, as pictured. The sleeve MUST be at the prescribed length as shown on the picture, as in extending out to the fingertips flipping it back, the cuffs go back to the elbow. If this is not done, the sleeves will open up in an upside-down V (八) shape when one does the Yili (cross hands in front of the face/body), making the whole thing look “skimpy”. With the top using 4 pieces of fabric (or 2 should you link front and back pieces) and the bottom 12 pieces, it seems like as if every major section (being: left side+lapel, back, right+lapel) should get 4 pleats. When done right, the 2nd and 11th pleat should span halfway on the extending piece, while the 4th/5th and 9th/10th pleat should span between the front and back top pieces. Two methods for doing the skirt that won’t waste material: See the crossed-out section if your fabric has any patterns that cannot be flipped over. 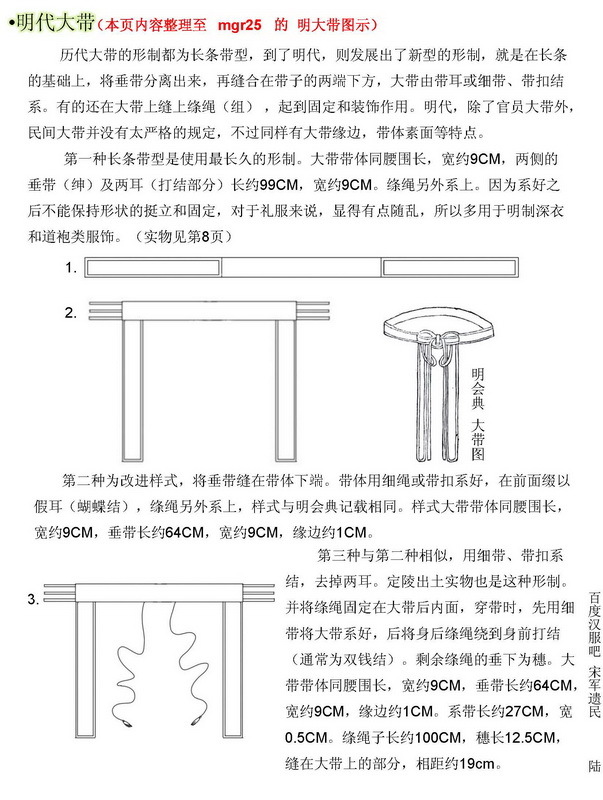 Otherwise, if your fabric is plain, you can use the trapezoidal cutting method as described in the first (English) image, as prescribed in the Zhu Xi “Family Ritual” standard. Since Ruqun usually will have patterns (and only on the bottom edge), the former method may be more suitable for making such pieces without waste. Although most paintings give the image that Shenyi’s shang (skirt) flare out neatly, it is actually not made like a flare skirt (ie. an assembly of trapezoidal pieces)! Since the Shenyi is (purportedly) the second most ancient Hanfu design, it seems unreasonable that the ancients would let fine fabric go to waste on the cutting room floor. Given the production conditions of BC-era Chinese textile industries, it is unlikely one can cut many equalateral trapezoids on a narrow piece of hand-woven material. The resolution to this is to sew up 12 pieces of rectangles as a wrap-skirt , and then sew up only a portion of the whole length to the upper garment. In simple terms, explicit pleating. Given the luxury of machine-woven broadcloth we have today, modern Hanfu makers in the early days of restoring the design cut trapezoids for the skirt pieces in order to create a similar shape, but has somewhat reduced the freedom of leg movement and feeling of grace. In this case, simpler is better. NEW: It is easy to make the Shenyi too long. Be sure to measure a little higher than normal waist, or a little short on the skirt, since attaching the collar/edges add length. This I did not put in the diagram and should be noted. There are several ways of making the broad waistbelt. There is the straightforward long strip of fabric tied with a bow in front, and there is the new sleeker Ming-dynasty design where the belt is exactly the person’s waist size, with the bow tying replaced with several sashes behind each end of the sash and tied at the back, and the falling extra length from the former belt design replaced by attaching extensions at each end in a perpendicular angle. The main part of the belt is called dai 帶 in Chinese, and the extra belt material that falls down from the bow of the fabric belt is called shen 紳. This is why the traditional term for “gentleman” is shen-shi 紳士, or literally “person who wears/has a shen”, implying the person donning a Shenyi and hence is a prominent member of the literati class. There aren’t any seam allowances. Make sure when you cut this out, you allow for the seaming. Could you update the “completed clothes” picture? the link is broken. thank you!